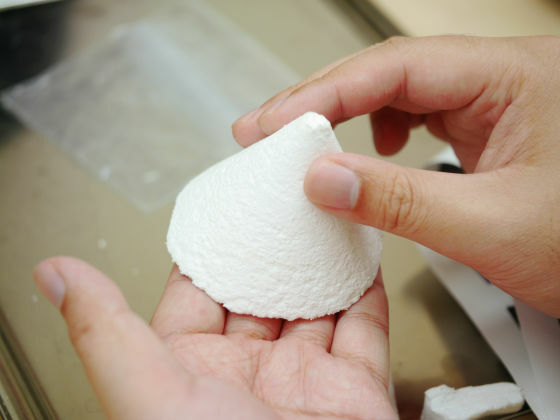 Since oil and water can be separated efficiently, it can also be used for crude oil recovery, and super-water-repellent gel with feel like marshmallow is "Marshmallow gel". 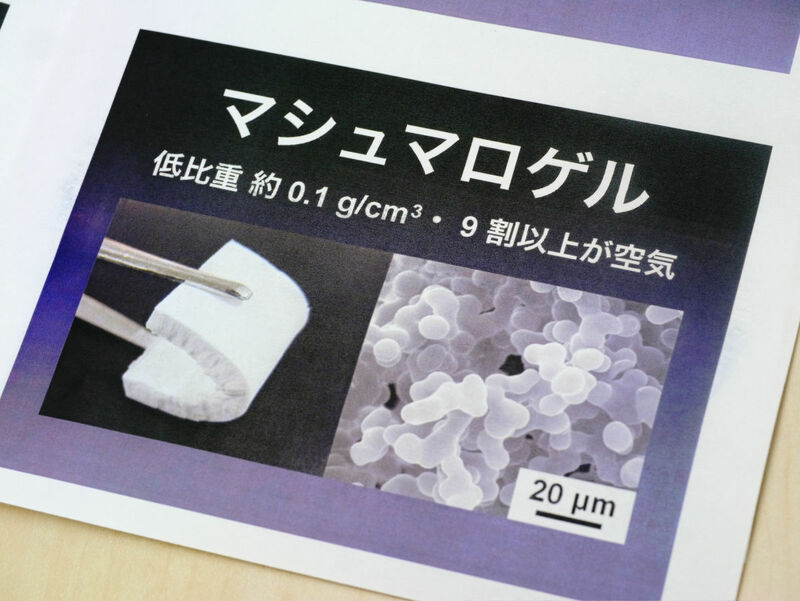 It is a new material developed by the research group of Kyoto University, but since I was able to talk to Mr. Hayase, the graduate school of Kyoto University that I was involved in developing this time, what kind of thing are actually touching the marshmallow gel I asked. This is a marshmallow gel made by poured into the funnel. The back is like this. Actually picking it up and touching it, it's fluffy and crispy texture, exactly like a "marshmallow" feel. I want to grudge in spite of myself, but it is not sweet even if it gnaws. Even if you put it in the palm of your hand, I feel little weight. Here developed a marshmallow gelHayase YuanMr. 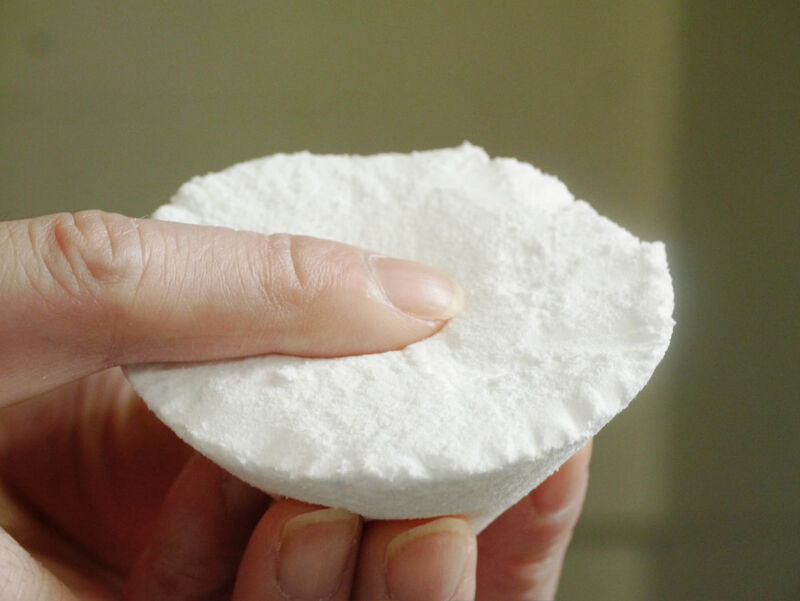 One of the features of the marshmallow gel is superhydrophobic, it does not make water at the molecular level, and the surface is decocted with invisible size, and water is standing on the pin when looking only at the surface It has become such a structure. Therefore, it has the effect of playing water like a lotus leaf. Existing ultra-water-repellent material was made of semiconductor manufacturing technology and chemicals, and it was making deco boko on the surface, but the marshmallow gel has irregularities in the structure itself, so even if you cut anywhere, it is super It is possible to maintain water repellency. So I tried how much water the marshmallow gel would actually repel. I spray a bit with Bashabasha and moisten a bit, but I do not feel wet at all. 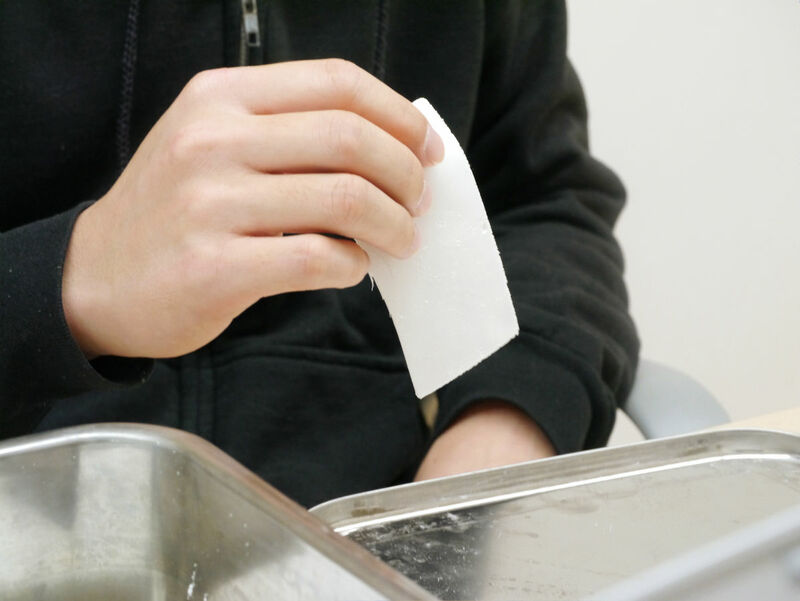 While having water repellency, it also has high affinity with organic matter such as oil, and also succeeded in completely separating water and oil. 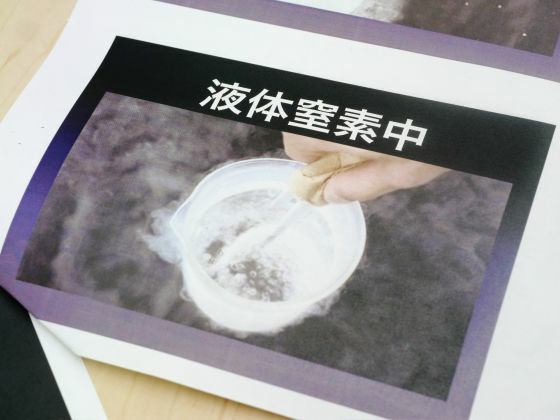 Although further improvement is necessary to adsorb the thick viscous oil, it can be adsorbed with the current material as kerosene. Even at this stage it is possible to actually wipe off if it is oil stain etc. attached to the glass. Even at high temperatures, if it is over 300 degrees, it can withstand more than 24 hours softly (possible though it is not strictly experimented), while softness can be maintained in liquid nitrogen even in liquid nitrogen. 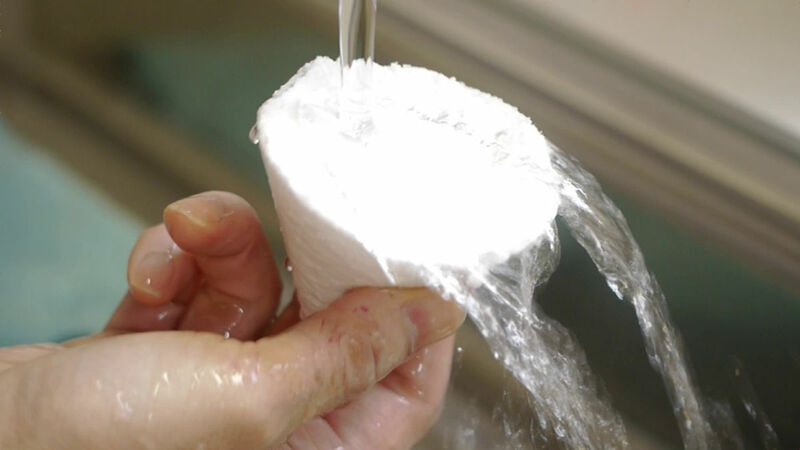 When flowers are put in liquid nitrogen, it usually collapses by applying force, but the marshmallow gel attached to liquid nitrogen can be taken out and it is also a big feature that liquid nitrogen can be squeezed out. It is a future task whether it can be used for what it is, but the point is that it will be far easier to prepare than the similar substance so far. How to Make a Marshmallow GelMaterials such as mM acetic acid, MTMS (methyltrimethoxysilane), DMDMS (dimethyldimethoxysilane), urea, CTAC (cetyltrimethylammonium chloride) are well agitated, placed in a thermostat set at 80 degrees, washed and dried Just a very simple one. It is a big difference from similar products so far that it is not made by foaming and not necessarily a special machine. There are also big ones made in the tray. This is a 2.5 L scale marshmallow gel. 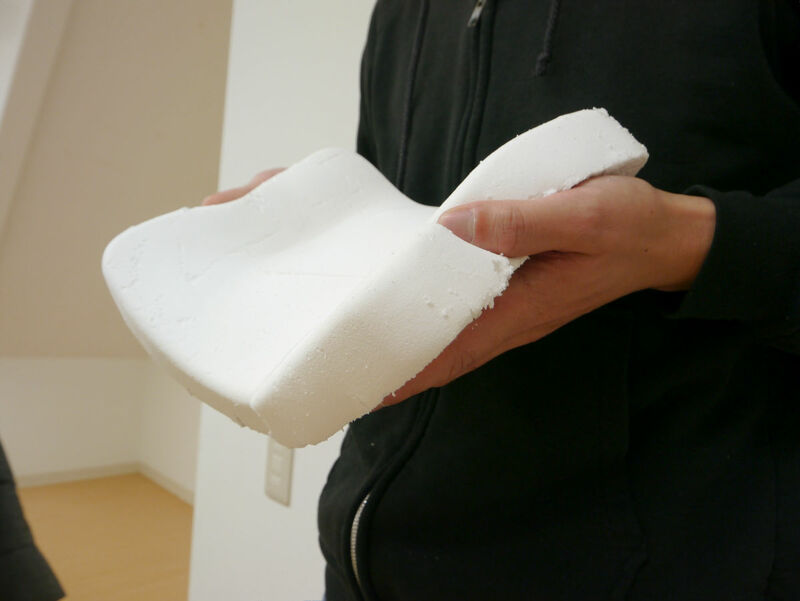 It is about the size of a small pillow. 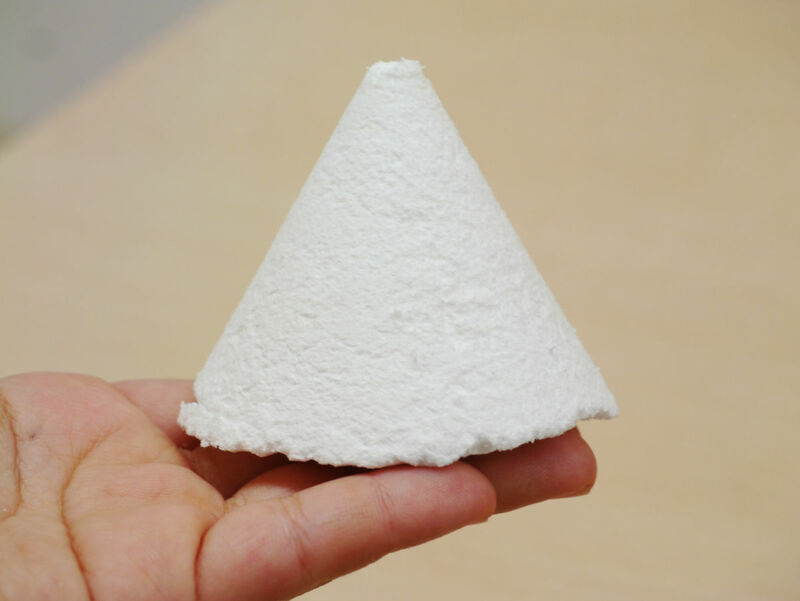 The cost of making a marshmallow gel of this size is about 20,000 yen, but if you make a large quantity on an industrial scale the cost can be lowered to about 1/10. I get a heavy looking impression on a visual like tofu, but when I bring it up, styrofoam ......? It is as light as I thought. 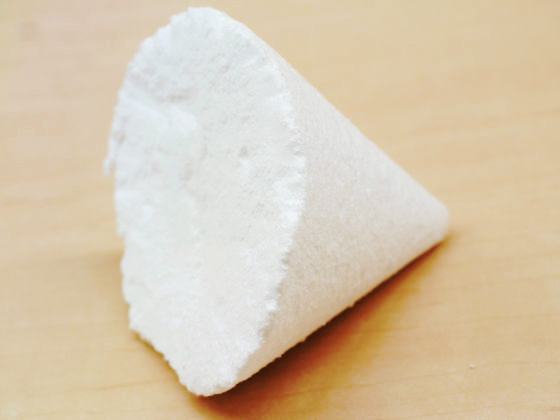 This is because 90% of the marshmallow gel is made of air. 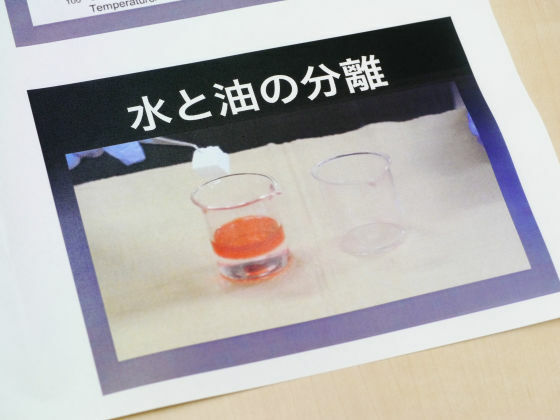 There is no deterioration in the sample despite the fact that more than one year has elapsed since its creation. 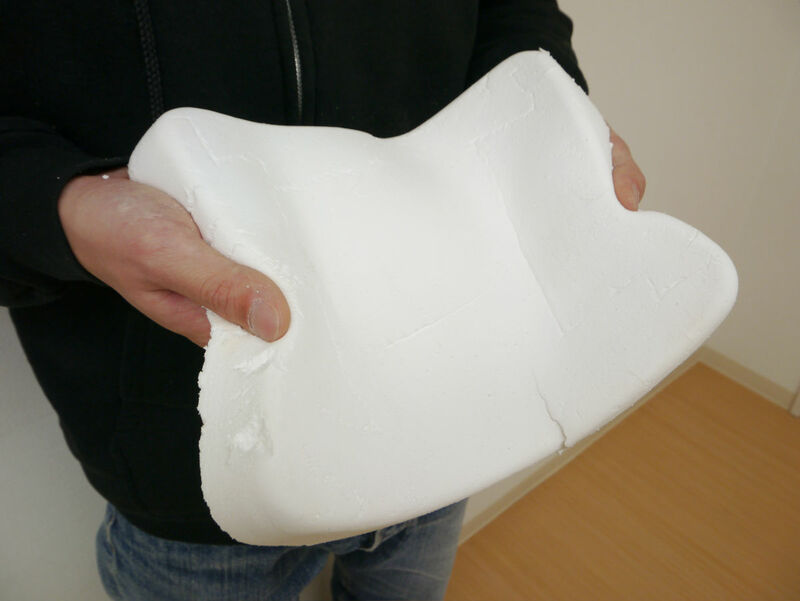 However, the marshmallow gel has its own fragility, and its edge has collapsed a bit because of too much touch. 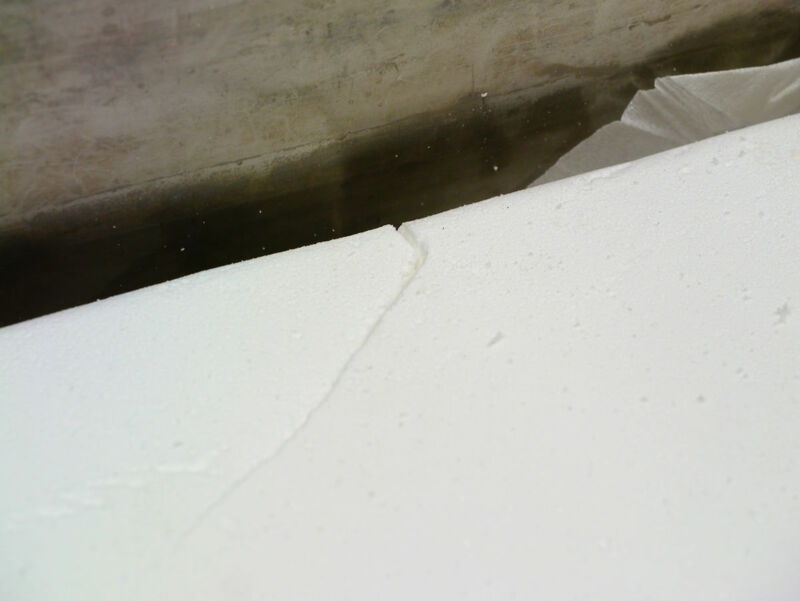 A little crack was also included. In other words, even if I was brought back and forth all over the year and caught by various people, it can be said that it is still done with this degree. 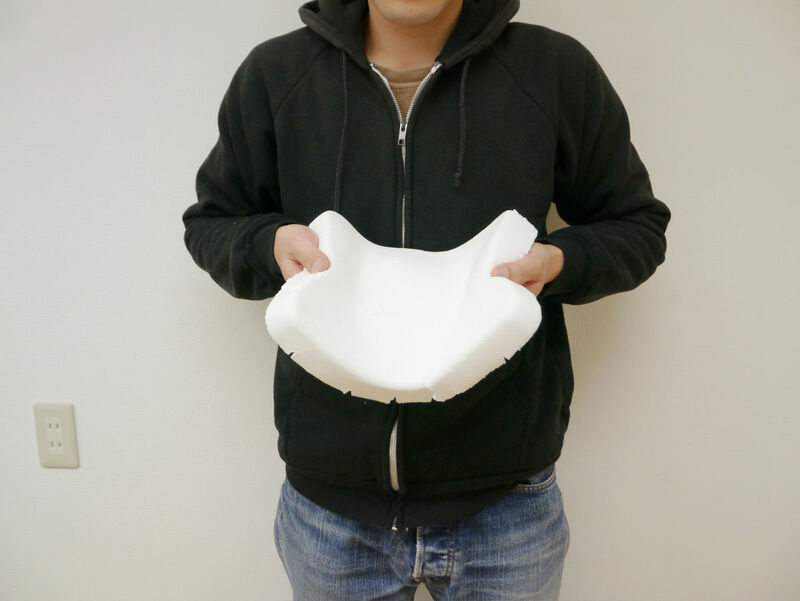 Mr. Hayase was originally interested in the universe, thinking from the idea of ​​the state-of-the-art = universe, wanting to make cutting-edge materials, transparentAirgelHe said he has advanced to the research path. 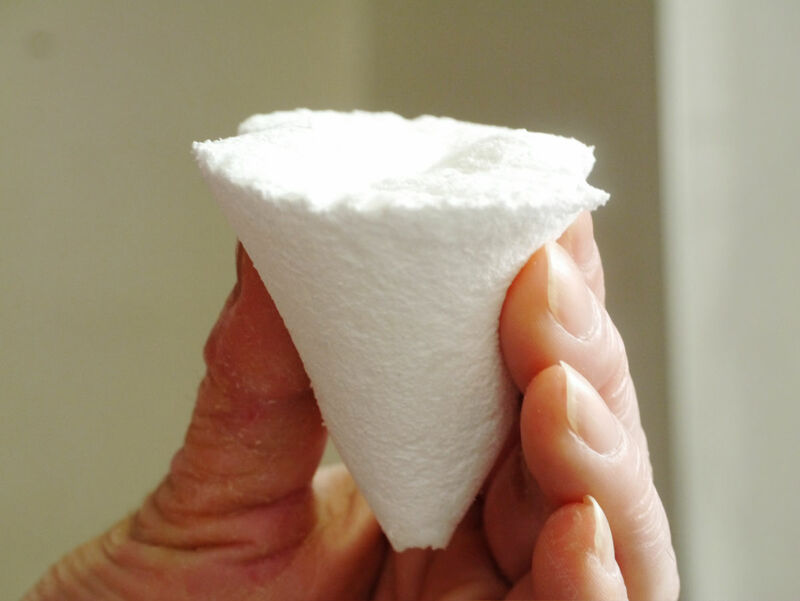 During the experiment, if we left the failed work, a light and soft mysterious gel was formed, and we reached completion of the marshmallow gel by repeated improvements. Although it seems that there was also an idea to be a fishing lure because it is soft and buoyant, the material was brittle and could not be put to practical use. Currently, research on marshmallow gel is also in the process of further practical application. Also excellent in thermal insulation and sound absorption,Adult scienceAnd as a learning material such as free research, it is useful to understand what "is a gel?" ... ... and so on. 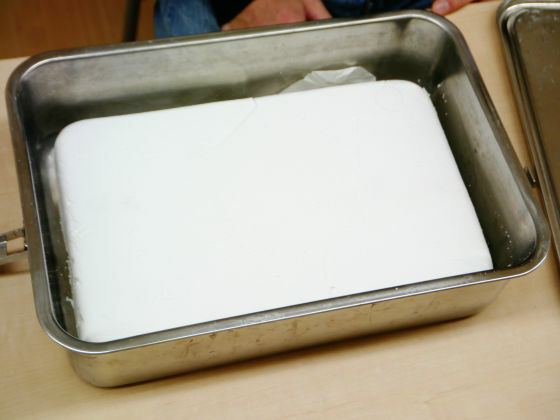 Although this marshmallow gel does not become something useful somewhere right now, it is also a fact that it is a substance that was not likely to be present up to now. 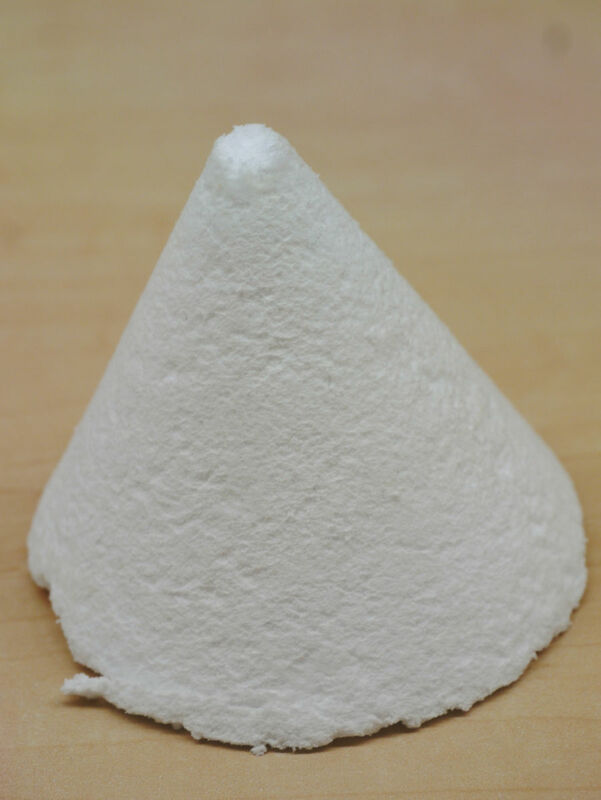 Because it is a new material with great potential in everyday fields, education field, industrial field, someday someday companies and others will be able to use this unexpected usage of this marshmallow gel. What is a mysterious state of 'being a liquid but also a solid' is 'super solid'?